This post is intended to continue my study of numbers and their significance to different traditions and systems, looking for parallels and consistencies. I was led to "the 42 Negative Confessions" after giving due consideration to the fact that Jesus was born out of 42 generations from Abraham, apparently in 3 cycles of 14 generations. The 42 Negative Confessions are a part of an Ancient Egyptian tradition. They come from what has been titled the Papyrus of Ani, part of the larger book known by some as "The Book of the Dead", and by others as "The Book of Coming Forth By Day". The "confessions" are statements, called "negative" because they affirm what the speaker has "not" done. For example, I have not lied, I have not cheated, I have not stolen. The Ancient Egyptian tradition holds that one must affirm these confessions upon one's death in a ritual that requires the deceased to measure the balance of one's deeds in life against a feather. The concept being basically that one does not have a guilty heart, and that one can stand by their past before those who would decide their fate in the afterworld. The tradition interested me long before I became a Mason because of the concepts involved. 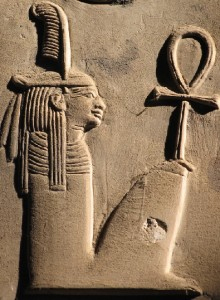 The Ancient Egyptian conception of Justice, or rightness, or correctness of ethical or moral behavior, was represented by Ma'at, a goddess whose symbol was a feather. These concepts can be seen in several other ancient traditions, including the Ten Commandments of the Old Testament of the Bible, as well as Masonic obligations. The statements themselves are known to have varied depending on who was making them, but they addressed a number of common basic themes requiring persons to live according to a defined code of behavior. Whether a tradition says "I have not", or "I will not", or "Thou Shalt Not", the behaviors are common. The Negative Confessions of the Papyrus of Ani were 42 in number, although they could easily have been reduced through some judicious editing. One reason I believe is that although the statements are repetitive, they are expected to be "state-able" to multiple hearers. You can read about the 42 Negative Confessions in a lot of places online, and I am not attempting to delve deeply into their significance here. I simply acknowledge them as evidence of an ancient tradition that is clearly relevant if not directly delineable to modern Freemasonry. Now here are my disclaimers. I do not spiritually subscribe to the Ancient Egyptian religious tradition. In fact, I do not believe most adherents of Egyptological traditions have the first idea what they are talking about. I think they make up what they don't understand, and the waters have been greatly muddied. The translation of these statements I refer to below are from E. A. Wallis Budge, whose work has been accurately criticized for a lot of good reasons. However, his translations are still used because they are the most readily available translations that appear to have been derived through some semblance of legitimate scholarship. Finally, I study this information as a matter of historical, cultural, and philosophical interest. I am not a part of other groups who use this information as a basis of their spiritual tradition, which is in conflict with my own. As a Mason, I can study and reflect on a great many things without adopting them. These traditions have a great value and are profound in a way to me, simply not in the same way as for one for whom these may be a part of their sacred texts. Here are the 42 "Negative Confessions" of the Papyrus of Ani, The Book of the Dead, or the Book of Coming Forth By Day, as you like. 7. I have not stolen the property of God. 13. I have not eaten the heart. 18. I have not slandered. 21. I have not debauched the wife of any man. 24. I have not transgressed the law. 29. I have not been a stirrer up of strife. 30. I have not acted with undue haste. 34. I have not worked witchcraft against the king. 35. I have never stopped the flow of water. 36. I have never raised my voice. 37. I have not cursed God. 38. I have not acted with arrogance. As you consider these things, it is instructive to remember that making the correct statements in this ritual tradition determine if you are able to go forward into the next state of being, whatever that is. Also, consider how ancient the tradition was. The scroll of the Papyrus of Ani was dated at around 1250 B.C. It would have taken many years even before this to have reached this level of philosophical sophistication. The statements are just one small part of a highly complex ritual tradition that included many arts and sciences.